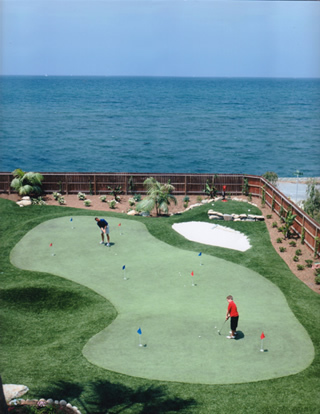 What are the benefits of a personal golf green? 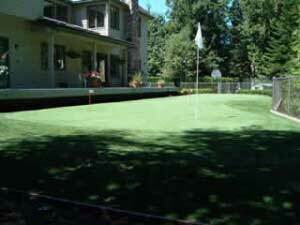 We are proud to offer the best Seattle personal golf greens and artificial putting greens for your backyard! Southwest Greens Seattle’s installation and construction methods are the best in the Northwest when it comes to backyard artificial golf greens. Can I build an indoor putting green for my Seattle home? Are long winters and rainy days ruining your short game? Practice your putting on an indoor putting greens installed by the professionals at Southwest Greens Seattle. Where do you install Seattle putting greens? Seattle Washington putting greens! Our indoor putting greens, backyard putting greens, and artificial putting greens are made from the finest synthetics in the industry. They can be installed in your home or commercial outdoor practice area. We are available for installation and construction for your residential golf greens almost year around. We can custom design your personal indoor putting greens to your specifications and install your synthetic lawn in little time. Take a look at our recommendations for the best Seattle, Washington, golf course listings to tee off at with family and friends. Why should I choose Seattle artificial grass for my home in Washington? Seattle artificial grass is perfect for your home indoor or outdoor area! 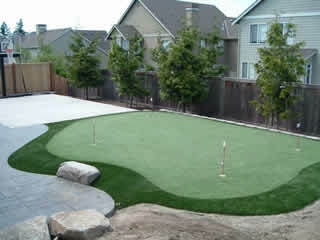 Our revolutionary blend of synthetic turf will complete the landscaping of your residential area without looking fake. What Seattle golf course information is available in your web site? Southwest Greens Seattle offers a list of the most popular and picturesque golf courses based upon the criteria of courses, amenities, and location.